And just like that, I'm nine months pregnant! 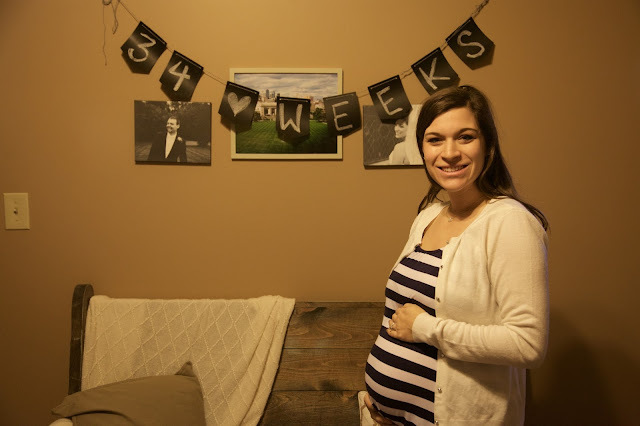 I technically hit 37 weeks yesterday, so I'm about a week behind in sharing, but better late than never, right? 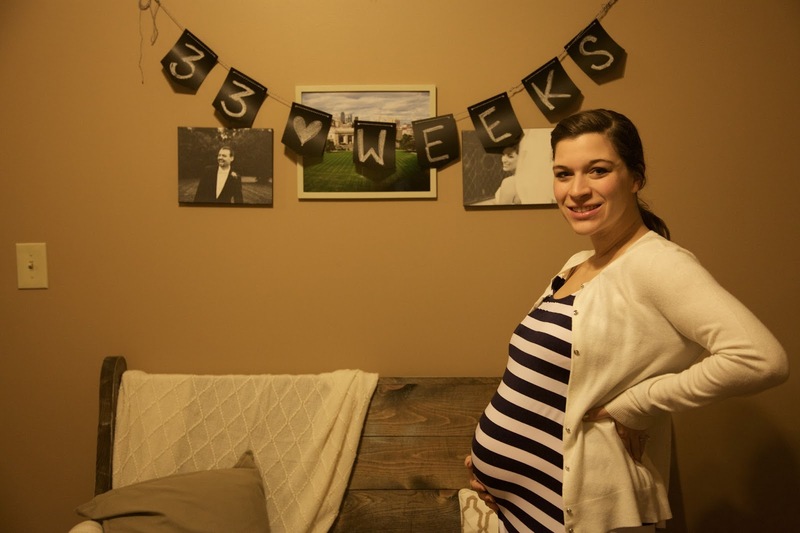 Since we're only three weeks out from my March 5th due date, this will likely be my last bumpdate before Baby K decides to make his or her arrival (unless the little one decides to hang out for a while longer). I truly can't believe it, and am a little mix of nervous, excited, and just so ready to meet our sweet little nugget! 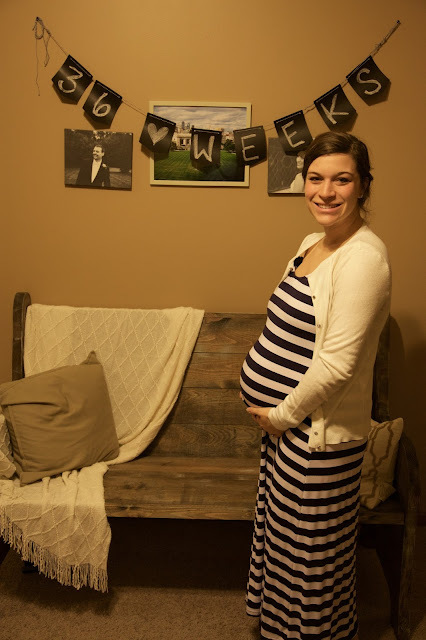 Check out the highlights and weekly photos, and be sure to share your guess if Baby K will be a boy or girl! Honestly, I was just telling Aaron yesterday how blessed I feel. Although it's definitely been harder to sleep and I'm getting more uncomfortable, I don't really feel like these last few weeks of pregnancy have been that bad. I know I have a few more to go, and that I'll be SO ready for Baby K to get here by the time I hit week 40, but I have actually really enjoyed being pregnant and feel so grateful that it's been relatively comfortable and easy for me. I'm sure it won't be so easy the next time when there's a kiddo running around to take care of! We took our Winter Maternity Photos, and had an absolute blast! We also attended our Childbirth class this past weekend, and even got to try out various labor positions and relaxation methods. Safe to say that with Aaron around I may be laughing my way through a few early contractions, as we have way too much fun together. I'm now going to weekly doctor's appointments, and it's crazy to think that they'll be checking my progress each time I come in from now on. Baby K's head is down and putting lots of pressure on my bladder, so I'm peeing all the time and definitely feel more pressure even when I'm just walking around. Wives' Tales: What's Your Guess? One thing that I'm incredibly excited about is meeting Baby K and getting our big surprise: boy or girl! It honestly hasn't been that hard not knowing, and I'm excited about our gender neutral nursery (which I'll reveal later this week!) and all of the wonderful, useful items we've gotten at our showers. It's been so fun to nest and get things put away and dream of our baby wearing the little outfits I've washed. As far as wives' tales, I'm pretty much split down the middle between boy and girl. Baby K started out with a higher heartbeat (over 150), but has been in the mid 140s lately. I am carrying low, was sick from weeks 7-13, and have had some acne. I haven't gained a ton of weight, and haven't really craved sweets over salty or vice versa. Put in your votes or guesses in the comments below!! I'm still waiting on the results from my latest blood test to see if my blood platelets went down some more. 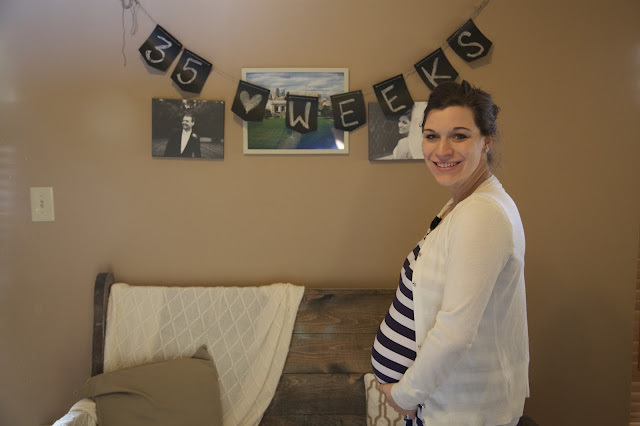 Like I shared in my 32 week update, my counts were getting low enough that an epidural may not even be an option. That being said, I'm preparing myself for a natural birth, and I didn't know that I wanted an epidural even if I could have one. I'm a little nervous about labor and delivery, but I'm trusting that God will partner with me in this and I know that Aaron will be an incredible help and huge supporter for me. I truly believe that my body knows what to do if I let it! I started creating a little "Pain with a Purpose" playlist I may share soon, and have even started to throw a few things into my hospital bag. As the weeks march on, I'm realizing just how much our life is going to change. 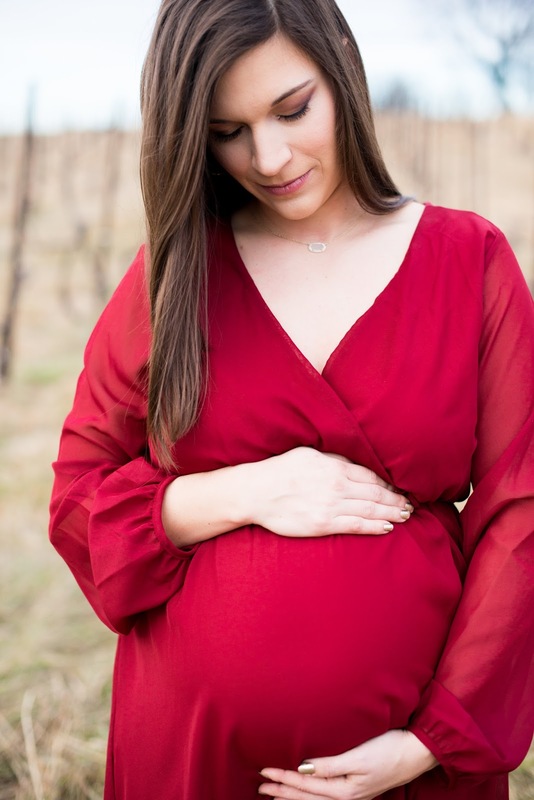 Because of the time I took to "pre-mourn" and be honest about how I felt in posts like 9 Reasons I'm Afraid to have a Baby, I truly do feel ready and so excited for this new phase of life. 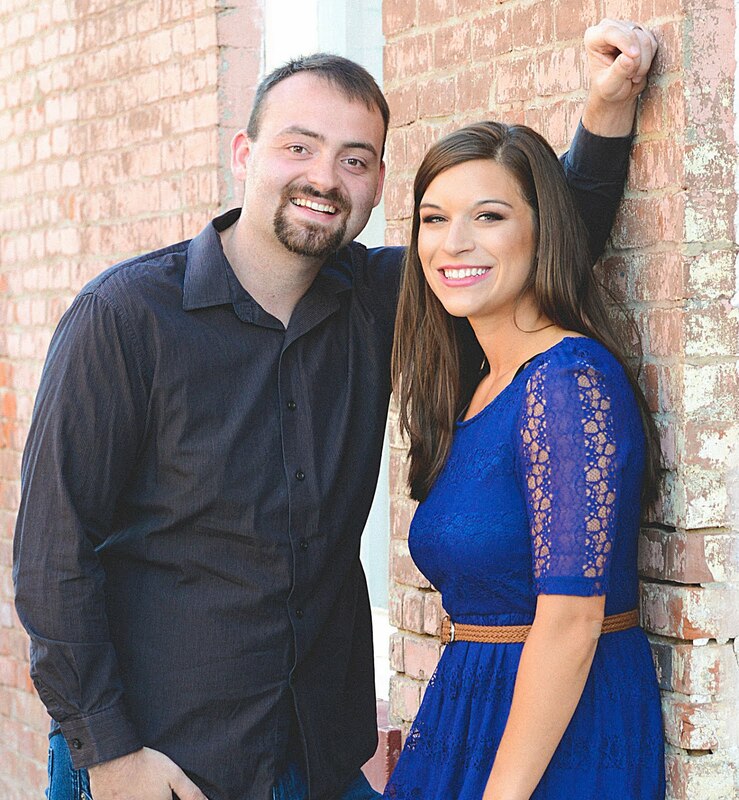 Although it will involve huge changes in our ministry, marriage, and social life, we are excited for this baby to come be a part of our world. We know that God has a huge plan for all of us, and I am truly thrilled and so grateful for the chance to be a mama and raise our child up in faith together. We have such a great community of family, friends, and supporters who are already surrounding us in prayer, and for that we are so thankful. I've also got like 13 days left of school before Baby K's due date, so I'm in major "get ready to be gone mode" and am truly thankful that I will have so long off on maternity leave to spend time just being Mommy. It's bittersweet to leave my awesome kiddos at school, but I know that this time with our own kiddo is something I will never regret. Who knows what the next few weeks will bring! Baby K may be joining us here on the outside any time now. Be sure to follow along on Instagram and Facebook for the first news when our little one arrives. And be sure to get in your votes for boy or girl before it's too late :) Thanks for being a part of this pregnancy journey with me. You may want to check out a few of my other motherhood posts that are linked throughout the post or listed below! AH THIS IS SO EXCITING! I am feeling a boy, just my gut, but I cannot wait to see this beautiful baby, either way. Ahhh, you are SO close! I cannot wait to see pictures of your beautiful little nugget! You're gonna do great! My oldest was born in march 8 years ago so I always get end of preg nostalgic this time of year! I think you are carrying a girl that's my guess!! You look amazing!! You're getting so close. You are absolutely right that the second pregnancy will be much harder with a toddler. I feel like you JUST announced you were pregnant! Isn't that crazy how fast it goes?